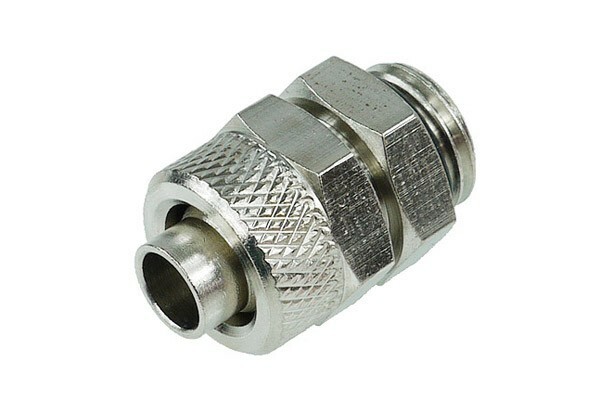 Screw-on fitting with union nut made from nickel coated brass for 11mm PU, PA or PE hoses with an inner diameter of 8mm. G1/4 " outer thread with O-ring seal. Height 30mm.